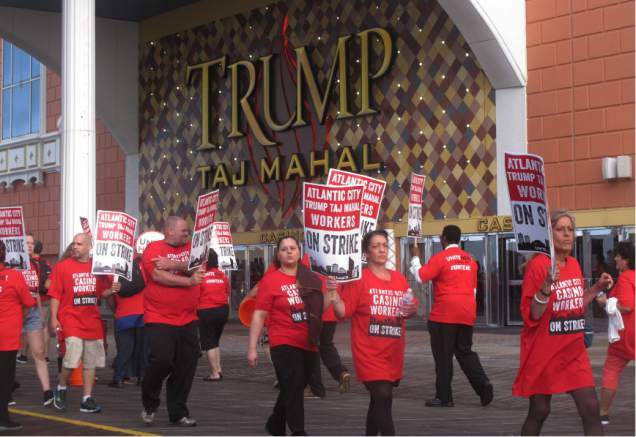 Carl Icahn wasn’t joking about closing the Trump Taj Mahal casino in Atlantic City. Icahn will be chalking up the “investment” as a $100 million loss. Thousands of jobs will be lost and the livelihoods of many families will be thrust into jeopardy. Members of the Unite Here Local 54 union walked off the job on July 1 in protest of health and pension benefits. Following a month of much picketing but little negotiating, Icahn announced his plans to shutter the property this fall. There was some hope that the two sides could come together and avoid Atlantic City’s fifth casino closure since 2014. But on September 2, Icahn made his move official. DGE regulations require casinos to detail their closing plans. Owners must explain how unused liquor will be discarded or sold, and whether the gambling machines will be transferred to a new casino or be stored elsewhere. Casino chips must also be properly disposed. The Trump Taj Mahal will continue accepting arrival reservations until Saturday, October 8. All guests must checkout of the hotel by 12 noon the following day. The casino and resort will formally close at 5:59 am on Monday, October 10. Taj Gift cards, credit, comp dollars, vouchers, and other promotional offers will all be rendered null and void on October 10. The Trump Taj Mahal was built in 1990 at a cost of $1 billion. 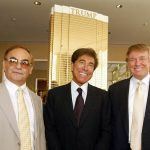 Billed by Donald Trump as the “eighth wonder of the world,” the now-GOP presidential candidate sold his Atlantic City interests in 2009 amid his casino company’s bankruptcy and restructuring. Trump sold TER to a hedge fund in 2009. After TER once again fell into bankruptcy, Icahn purchased the gaming and hospitality company in 2016. A bankruptcy court permitted Icahn to cancel certain benefits for Taj workers when he purchased the bankrupt casino resort in March. He told the union that he needed more time before restoring benefits to their previous levels. 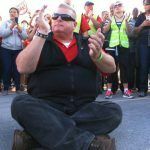 In addition to the restoration of their medical and pension benefits, Local 54 striking bartenders, wait staff, cooks, and housekeeping service members also demanded increased hourly wages. Icahn said it wasn’t feasible. That angered union officials who pointed out that Icahn is worth tens of billions of dollars. Icahn says he stands to lose $100 million on the Trump Taj Mahal. Congratulations to the union geniuses (NOT)! They asked management (Icahn) for better insurance and benefits (which cost money), as well as more money, while at the same time picketing and telling patrons not to spend money there! This suggests the union powers-that-be (McDevitt) can’t be to intelligent! Secondly, they demand Carl Icahn spend more of his “personal” money to save their jobs (which he has been doing to some extent), failing to remember this is a business and there are books that have to balance. It will reopen between April 10th and May 1st 2017 in time for the Memorial weekend. The old employees will be offered their jobs back with few if any benefits, and less pay, they will be told take it or leave it, if you leave it we will find plenty of others that want and need the work and will take it. This is yet another big scam to hurt the little guy, break unions, and make the rich richer. 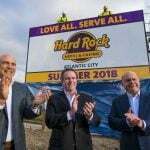 Atlantic City has been devastated by scams twice now, once to get the gambling in, and now to rebirth the city back to its original draw of families coming to the shore for vacations, Now they will have both with fewer casino’s, but the draw of both, while they build casino’s closer to NY and get the NY crowd back. This is what they should have done long ago and not built them and forced them on South Jersey. The travel time especially in bad weather, and long holiday journeys was not good for most. The number one casino in the nation is not in Las Vegas, nor is it in Atlantic City, the gross winner is Queens, NY, Aqueduct race track is the number one casino in the nation proving my points. By building elaborate casino’s close to the state line, New Jersey will regain what they lost, but the people will have lost twice in A.C. The mismanagement by the city, and the casino’s compounded by their desire to revert A.C. to almost its original life, and then build the casinos where they should have been in the first place is why they have in the end planned Atlantic Cities change again.